fires. It has been an incubator of racism at home and helped bring down a racist regime abroad; shaped cities, changed cultures and inspired resistance. Its impact is as dynamic as the game itself. In this fascinating exploration, Jim Murphy takes us on a journey around the world and through the years, from Franco’s Spain to Africa’s Alcatraz, Robben Island. 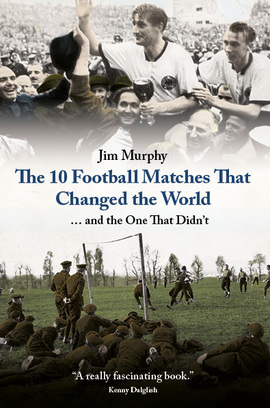 Charting the match that sparked a Central American war, the Barcelona team threatened at gunpoint, and the game that helped save Rupert Murdoch’s media empire, among much else, Murphy lends a fresh new perspective to some of the most iconic moments in international football. Blending a love of the game with an appreciation of its place in global events, this is an authoritative and often humorous mix of sport and history, featuring fascinating first-hand insights from those most involved in the ten matches that changed the world … and the one that didn’t. In all my time as Prime Minister I was never in any doubt about the importance of football. Wherever I went, people wanted to talk about it. It’s quite obviously a work of passion and we should welcome attempts to shine a light on the hinterlands of our political representatives … Murphy successfully brings together his own passion for the game, a strong argument and good writing.